14,069 others viewed this post. 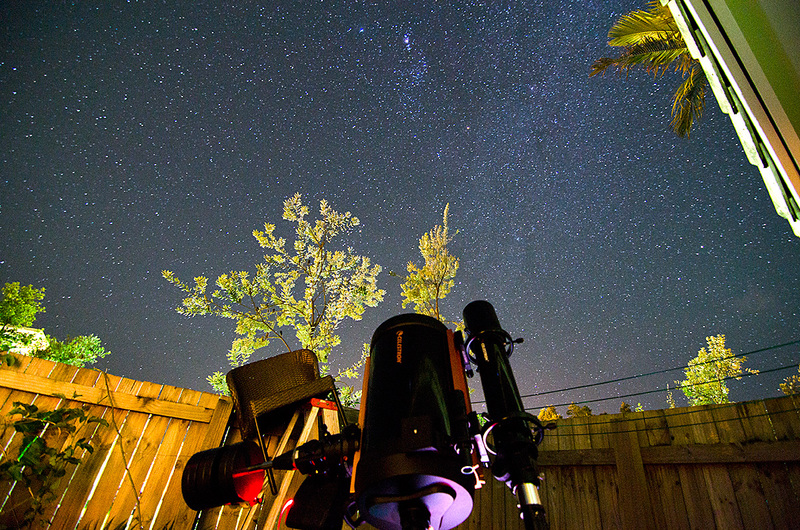 Ok so this is the best astrophoto I’ve ever taken to date and I’m excited to share it! 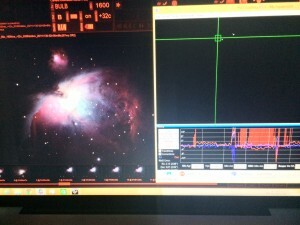 It’s a close up into the heart of the well known favourite M42 (Orion Nebula). 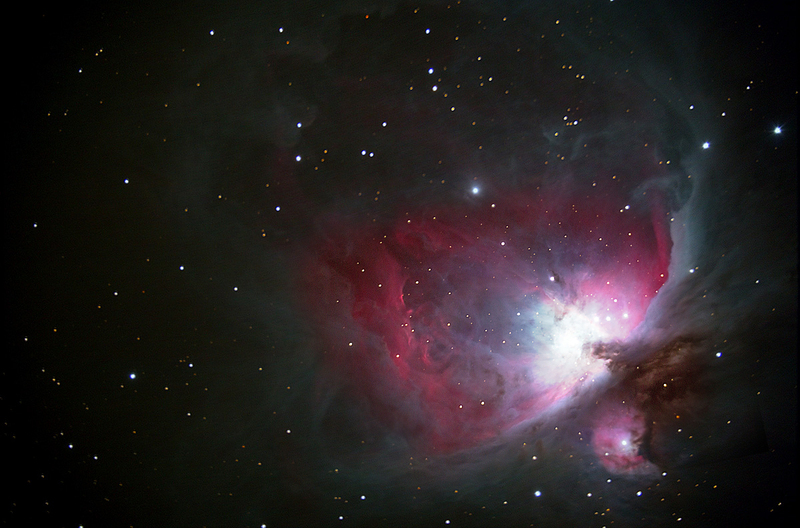 I’ve kept the rough border so you can see the layering it takes to capture a nebula. About 20 x 60s exposures (ISO 800/1600) stacked in special software to average out the long-exposure noise and draw out nebulosity. It’s not perfect and I still have some limitations to overcome (technical, optical and mechanical), but it’s the kind of image I’ve wanted to produce since I started trying to image deep space. The pink clouds are charged gases that emit their own glow while the blue ones are dark, only reflecting the light of the stars being born in the heart of the nebula. You can really see the “star nursery” in action here, giving birth to new stars like pearls in a cosmic oyster. I imaged from about 1:30am – 3am after the moon set but only used about 20 minutes of data out of that because of unusable frames (too blurry / tracking errors). After a lot of frustration and patience though I’m happy to get a result like this and looking forward to imaging M42 again with a wider field of view to see more of it in frame. 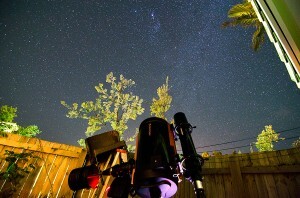 Here is a photo of the Celestron 9.25″ SCT telescope & guidescope tracking M42 (top middle). .. and another of the laptop screen with guiding on the tracking star that keeps the telescope locked on, the mount making pixel-level adjustments to stay on target. I also use the laptop for tethered shooting which means the Canon 70D camera is controlled 100% on the laptop and images are transferred directly to the hard drive as they are taken. UPDATE : *Featured on Canon Australia’s Twitter & Instagram! UPDATED : Added 40 mins more data and zoomed out a bit with a focal reducer.